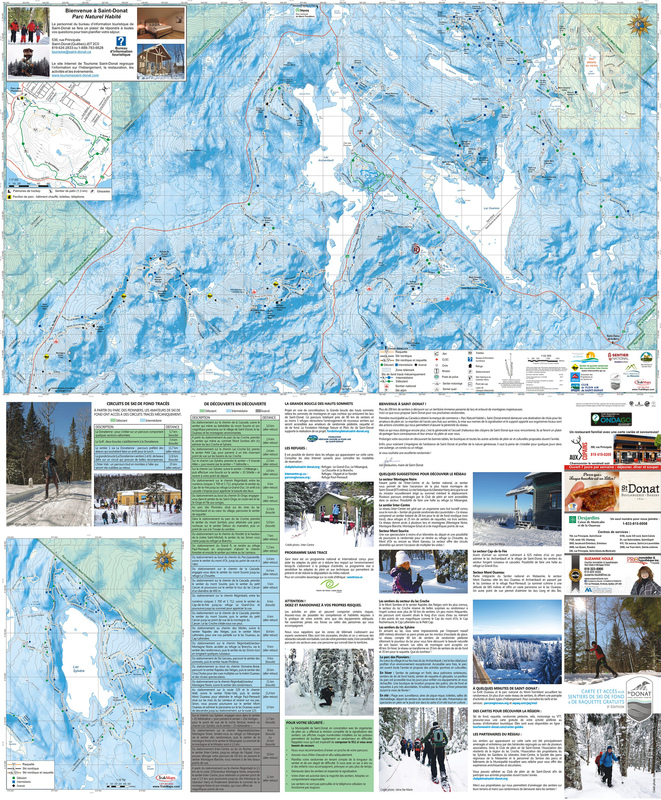 The Inter-Center path gives access to the summit of Montagne Noire, Saint-Donat's highest summit at 875 m. It is also part of the National Trail, straddling the tourist regions of Lanaudière and Laurentides. Up there, you can enjoy the view of the snowy panoramas from a 360 degree viewpoint. The jays love the place, so with a little luck, you can admire it very closely. The Mesangeai shelter, where you can warm up with a hot chocolate or spend the night, is located at 850 m. Possibility to rent the hut for the night.